Die Neue Sammlung – The Design Museum is truly delighted to be receiving such a wonderful addition to its collection. 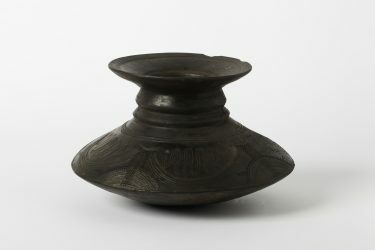 Over 1,300 items of African ceramics from the collection of Franz Duke of Bavaria are going to Die Neue Sammlung – The Design Museum as donations or items on permanent loan, and will thus be made accessible to the public. Starting in the 1960s, His Royal Highness the Duke of Bavaria has established an important collection of African ceramics. 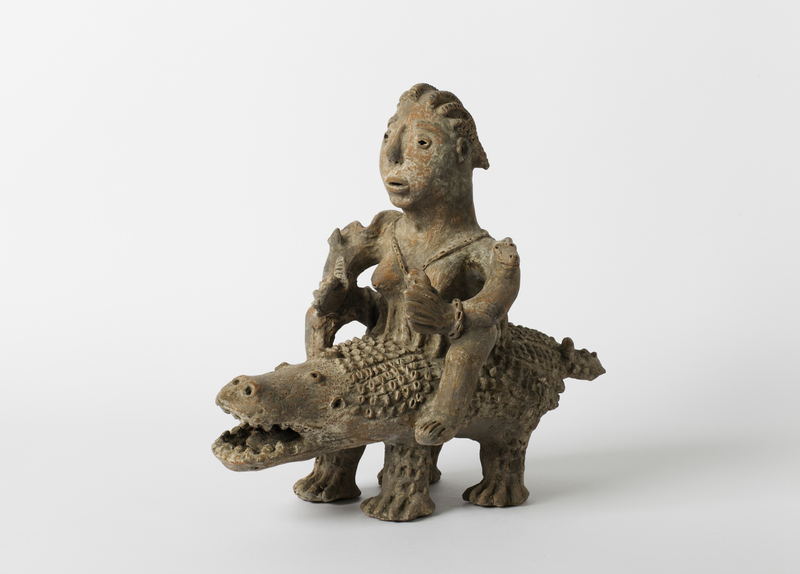 The collection comprises examples from different African regions and focuses in particular on ceramic vessels from the 19th and 20th centuries. In terms of scope, precision of selection, and quality of the individual pieces, the collection is widely regarded as one of the most important collections of African ceramics world-wide. Despite having such a strong reputation among the specialists, it is not widely known. The thrilling, highly aesthetic objects are formally very diverse and include items of everyday use as well as ritually employed vessels. The range of designs oscillates between the abstract and the figurative. Die Neue Sammlung itself can look back on a long and rich collecting tradition in the realm of ceramics. In the very year of its foundation, the museum acquired ceramics at the World Fair in Paris and quite consciously emphasized an international approach. Today, the collection at Die Neue Sammlung comprises over 5,000 one-off ceramic objects and about 1,000 items of industrial ceramics. The focus lies on ceramic pieces from Europe (Germany, England, France, the Netherlands and Scandinavia), but the museum also holds sets of works from Asia (China, Japan and Korea) as well as the US. Twenty years ago, Die Neue Sammlung was able to acquire 12 major ceramics from the Art Nouveau collection of H.R.H. Franz Duke of Bavaria. Even though ceramics forms just one of the museum’s collection areas, and there are more than 20 in all, there is no other design museum world-wide that has a collection of ceramics as comprehensive, high-quality and closely meshed as that of Die Neue Sammlung. The African Ceramics collection closes the unfortunate geographical gap in the holdings with an inventory that is as outstanding in terms of quality as it is in quantity. “The donation and permanent loan of African ceramics form an important extension to our collection and a major addition to our non-European holdings. We are very grateful for the exceptionally generous gift,” comments Angelika Nollert, Director of Die Neue Sammlung. From the summer of 2019 onwards, Die Neue Sammlung will be honoring this generous gift by hosting a comprehensive exhibition supplemented by a publication and an accompanying program with international guests. The title of the exhibition “Seen differently. African ceramics from the Franz, Duke of Bavaria Collection” highlights the special nature of the new context. In a museum for design and applied art with a large ceramics collection comprising mostly ceramic vessels from the early 20th century onward, the African ceramic objects can be viewed specifically in light of design and artistic aspects in comparison to ceramics made in other countries at the same time. 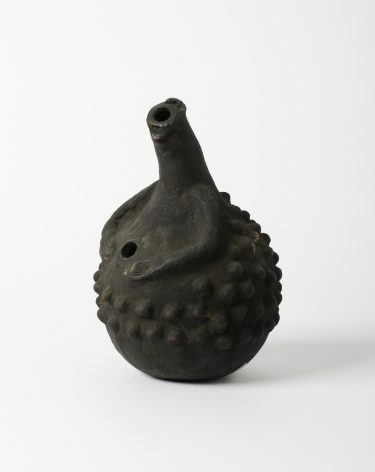 And conversely Die Neue Sammlung’s ceramics collection also gains a new context through this important expansion. “The African Ceramics Collection and its bestowal to Die Neue Sammlung by H.R.H. Franz Duke of Bavaria to Die Neue Sammlung – The Design Museum is an impressive testimony to his passion for collecting and his cultural patronage. Die Neue Sammlung as one of the largest design museums world-wide is now able to draw on a trove of items that place the rich seam of its existing collections in a new context. I am delighted that Bavaria as a center of culture is gaining such a marvelous addition and would like to extend a heartfelt thank you to H.R.H. Franz Duke of Bavaria in the name of all art lovers of the Free State,” said Minister of Science and the Arts Prof. Marion Kiechle in prior to the press talk at Die Neue Sammlung in the rotunda of Pinakothek der Moderne.